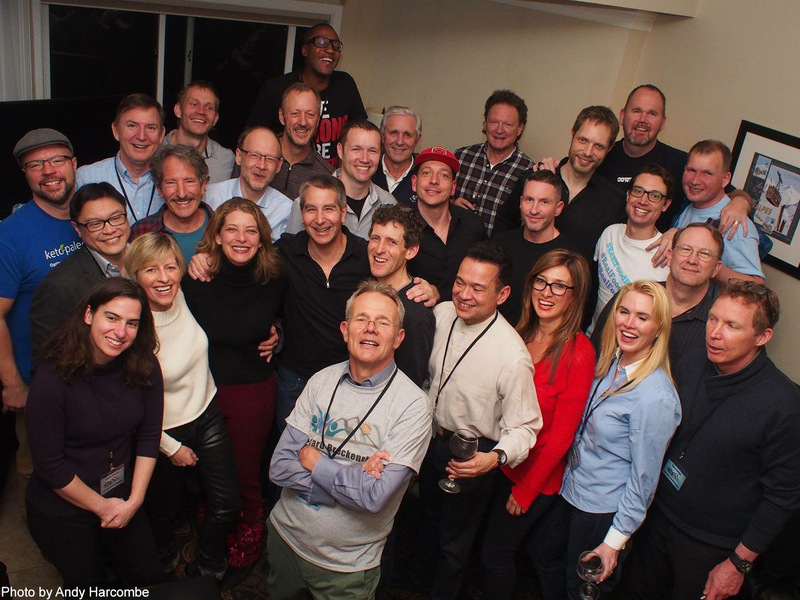 To say Low Carb Breckenridge was an outstanding conference would be an understatement. It was probably the single largest turning point for my message so far. I was invited to speak on Sunday at 2:30pm. Once there, I kept tweaking and updating my presentation throughout the conference. Like every speaker, I was limited to 30 minutes, which felt woefully short for everything I wanted to share. Fortunately, Zoe Harcombe, Ivor Cummins, and Jeffry Gerber all preceded me and talked about some of the basics of cholesterol and its risk (or lack thereof). This gave me room to cut out these sections from my own piece and focus mainly on my data and the theory behind it. When giving the presentation, I seemed to have finally found the right shape to my message. Almost everyone — doctor and layperson alike — seemed to understand it! There was clearly a new level of penetration for this information. Introducing everyone to the data I was collecting. Describing the theory behind it. Most importantly, educating everyone on the lipid system’s primary purpose: to distribute energy from fat. I never feel I can emphasize this enough, even if it is very self-evident to me. Once everyone understands this basic tenant along with my data, then everything falls into place. Bringing in all the data from everyone else who has participated in the protocol, showing how to manipulate their cholesterol numbers as well. My presentation (and everyone else’s) will be available until the end of the week via online streaming. Otherwise it will presumably go on YouTube eventually, but I have no control over that timing. Ironically, I originally considered passing on it and instead going to the main conference put on by the National Lipid Association to present my data. However, I wasn’t getting a lot of confidence it would be received there. The rest of the conference was likewise incredible. I was staying in a house rented by the 2 Keto Dudes community hosting almost a dozen of us. It was a surprisingly cook-centric collective where some of the most amazing meals were prepared. I also got to meet and chat with some of the real giants of the Low Carb way of life and many I hadn’t known of before. The field is expanding so quickly compared to when I was first looking into it – just two short years ago! All in all, it was one of the best experiences both as a participant and as a contributor. First off, just want to say that I am a big fan of what you are doing. Thanks! I wanted to ask if you measure other hormonal markers such as testosterone or thyroid, during your experiments? Or, at any other time point? I am very interested in how these levels change with a ketogenic diet (or even a low carb diet), and also how they change in response to a dramatic increase in calories (mostly from fat) and to a reduction in calories – almost identical to what you did with your cholesterol experiment. Do you have any numbers from yourself, or others? Sorry for the late reply, I’ve been hammered lately! Yes, I test testosterone occasionally and thyroid frequently. But unfortunately, I can’t tell you exactly how much the latter has changed as I didn’t do this level of deep blood monitoring until after I started my research (which was after I had started the diet, of course). No problem at all, Dave. I appreciate you getting back to me. I am really looking forward to your talk (when it becomes available), and seeing the rest of your data. Would you be willing to share some of your testosterone and thyroid numbers? And, have you seen anything that might help with these numbers based on your testing and knowledge? Did you happen to check free testosterone and/or SHBG? No, but I might add that in for the next Big Batch panel (tend to do those every month to two months). Checking in to say I appreciate your efforts. I am a big fan and find your blog extremely helpful as I am a fellow hyper-responder. Can’t wait for your future posts. Thanks so much! It’s certainly been quite a journey. I enjoyed your presentation. I have a schedule blood test April 20, 2017 and would be happy to follow the 3 day protocol and share. I am a 65 year old male that had a heart attack June 20, 2016. I put myself on the ketogenic diet and have been since Sept. 10, 2016 (6.5 months). I really love the food and have no plans to stop. I have gone from 107 kg to 84 kg in that time. I think I will continue to drop 1 kg every 2 months. Friends and workmates can’t beleive my transformation, so I made a website to refer them to so I don’t have to keep repeating my story. http://www.scienceinquirylabs.com Eh, I have fun with it too! I will add a link to your great video. I have logged all of my food for the 6 months using http://www.cronometer.com and would be willing to share that too. There is a membership for professionals such as doctors for this purpose. Presently I don’t share. I happy to share with anyone doing such great work as yourself! – I’m currently a bit slammed, but hope to have time in the near future to aggregate more data from many such as yourself as well. So yes, keep up all the great logging. I have watched the youtube video from the low carb conference… well done. I am a little confused however. What is the purpose of doing one of hte protocols you outline where you go high fat before a blood test to see if your cholestrol numbers improve? If they do improve, are we supossed to stick with that level of fat intake to keep those good numbers? I then worry about that level of dietary fat slowing body fat loss. So I am a little concerned. I would gladly try the three day protocol you have and share the data, just was curious what end outcome is once results come in. – No, the protocol is not itself a diet plan. It is more to prove the dynamic nature of diet on cholesterol. More than anything, I want to impress on everyone how important it is to at least “normalize” your food intake coming up to a test to know your median average numbers. – Your numbers are very consistent with someone on ketogenic diet and actually appears close to what I see with lean and/or athletic individuals. They typically have a higher proportion of small LDL-P, but to me this makes sense given the higher TG usage from energy demands and lack of adipose supply. In other words, I’m more skeptical that it is typical of a disease state than one of energy usage. Hi Dave Your LowCarbDownUnder video is great. I’m a doctor who lectures on nutrition and I’m an associate of Rod Tayler’s in Melbourne Australia. I’m considering doing the full Feldman Protocol. I’m normally low carb to very low carb but not religious about it. I’m also fond of intermittent fasting. I’ve just rendered down some pastured pork fat so I have the raw materials! Do you publish the actual diet you and your sister adhered to? I didn’t publish it, but you can friend me on MyFitnessPal (username DaveKeto) and look up that time frame — July 5th to 18th, 2016. And yes, please share back your data! 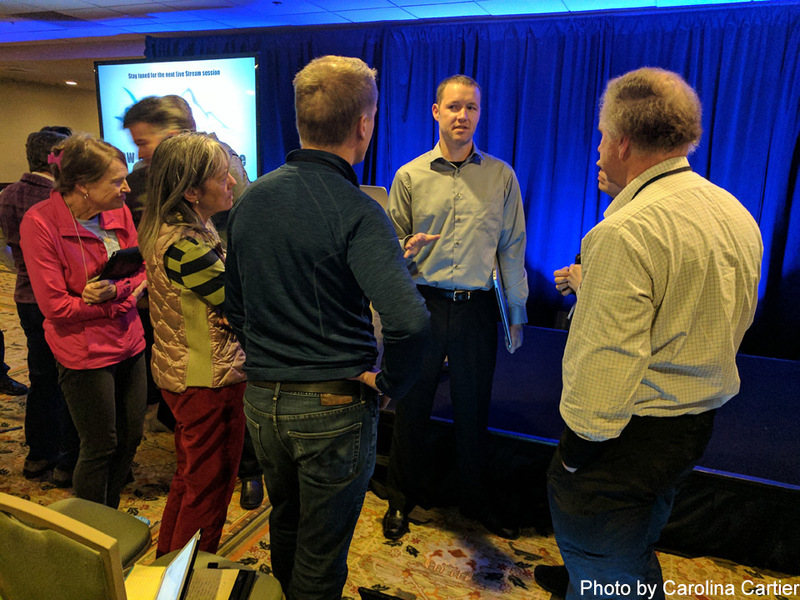 Hi Dave, that was a great lecture @ Low Carb Breckenridge! Over the past couple years, I’ve experimented with 2 NMR Lipoprofiles, a SpectraCell CardioMetabolic test, and a few rounds of 14d continuous glucose monitoring systems around different dietary modulations. It’s been an interesting journey. I’d be happy to share this data if you’re interested. I’m curious if you’ve experimented with cyclical increases in carbohydrate or different meal timings (eg. 18/6 IF) to modulate cholesterol & metabolic biomarkers? Do you employ any sort of calorie cycling throughout the year for metabolic health or do you view the “Feldman Protocol” as more of a short-term hack? Not yet, but I’m actually close to approaching something like that. The introduction of higher carb ratio is something I’m being careful about as I want to track the long term insulin regulation vs short term. Great presentation! I just had the chance to watch the video of it online, and I must say it is excellent! If you are still interested in getting people to help with putting a formal study together, I would definitely be willing. Just let me know! Work is very interesting. What is your age if i may ask? Have you had a calcium scan? What would say about the energy system of someone on a high carb diet who had low TRGS, say 80ish? and if they went to high fat saw them plummet to 20? For people with family histories, there may be more to it regarding the small ldlP aside from possible IR such as CETP,etc where the particle size is small regardless of diet protocol. Sound like a cardiometabolic issue with the faulty exchanging of TRGs/ Cholesterol. Any thoughts? >Work is very interesting. What is your age if i may ask? >Have you had a calcium scan? Yes. Last year around this time and it was score of 0. >What would say about the energy system of someone on a high carb diet who had low TRGS, say 80ish? and if they went to high fat saw them plummet to 20? Not surprising that it went down, as most going low carb see their trigs drop due to more active utilization by cells. But both the before and after numbers are unusual as they are both low for the circumstances. >For people with family histories, there may be more to it regarding the small ldlP aside from possible IR such as CETP,etc where the particle size is small regardless of diet protocol. Sound like a cardiometabolic issue with the faulty exchanging of TRGs/ Cholesterol. Any thoughts? I think that’s definitely possible. But part of the problem before this part is controlling for the major confounders of LDL-P clearance shifts by the body. This is part of what I’m liking about my data is that it appears to help isolate that major variable. inflammation: .3-.4 CRP regardless of diet type. Oxidative stress: not sure how would measure. With pos CAC score, drugs help in stabilizing plaque. Many have zero CAC score at your age but when 55+ not the case particularly with family history and no IR. Dr. Kraus work on WC indicates a great many have small LDL which for some can change with diet; whereas Wheatbelly doc says if you hit his 60,60,60(HDL,TRG,LDL) and still have to many small LDLP then he says you have a genetic issue and should be on drugs. How would you suggest bowel issues for those doing keto or LC? know of far to many who say they get stopped up going to that diet, even with passage( pun intended) of time? Agree on lowering LDLP, but for some not doable without drugs but some make to much cholesterol and or absorb to much, assessed via testing. Hi Dave, I found your site from Marty Kendall’s and I am extremely happy to see an engineering approach applied to this process. In my opinion every person or doctor evaluating a patient should use this experimental approach before choosing a diet for an individual at risk. Then back up your decision based on hard data, not one plan fits all. After my heart attack and quadruple bypass in November of 2015 my follow up visit with the Cardiologist was a typical prescription of statins and the Standard American Diet, LFHC. I have witnessed the progression and effects of this disease through family members so, if I choose to follow his recommendations the odds are not favorable for a long term uneventful solution. Instead I selected, for the first 9 months, to explore 100% plant based diets which lead me to finding I was pre-diabetic. Needless to say it was time for a diet change and the search for alternative diet on. My search discovered Dr. Peter Attia’s blog which began my experiment into LCHF world. (low carb 60 gr/day not ketosis, roughly 184g fat) Like you, I ate and tested. Not as many test as you have conducted but enough to prove I was on the right path. Long story short, my NMR results are almost perfect with or without the statins. (small LDL particle size to large LDL particles) LDL-P would be the only argument to continue taking the statin. I guess niacin and/or the statin could be contributing to my Insulin resistance. I started the LCHF diet and niacin at the same time and about 3 months later my fasting glucose and Insulin levels rose. The question now is – Do I keep taking the statin and the Niacin? My LP (a) is 5 times higher than the recommended level (All Genetics). Niacin lowers that number to less than 1/2 which is pretty significant and less side effects from niacin. The statin is affecting my memory and giving me muscle cramps, body aches. My inflammation level on the LCHF diet is nonexistent. Hs-CRP .2 and all other inflammation markers good so I don’t see the benefit of statins unless LDL-P turns out to be as important as the Lipidologist think. It’s all about particle count from their perspective. A small amount of the statin lowers my LDL-p to 550 on LCHF. Without the statin my level is about 930 on LCHF and 1300 on Plant based diet no statin. After some research and results from my shelve experiment. I am convinced diet and Insulin levels are the primary drivers for proportional Lipid control and cardiovascular health. I believe my tests results prove the diet portion as do yours. As always, I can’t give individual medical advice and I don’t want to make specific recommendations. And as a further caveat, much of my research and study has been focused in areas without a prior heart event. First, I have to commend you for taking real ownership of your health. Researching and testing for yourself can often lead to new discoveries that help countless others as well. I will say that I have read in a number of places that a statin is more likely of use when you are both male and have had a prior heart event. But with that said, the nature of how it accomplishes this is by blocking the HGMCR path (which you are likely familiar with by now) in order to accomplish this. Given that, it seems silly to be on a high fat diet which requires more LDL-P for transport of your fat-based energy (triglycerides) while simultaneously inhibiting it’s delivery. Kind of an engineering 101 thing. In fact, much of the reason I don’t think highly of statins is because the magnitude of effect they have with lowering LDL-C/-P doesn’t mechanistically match the positive outcomes in the aggregate. In other words, statins work really, really well at lowering LDL-C/-P — and yet they have a tiny marginal impact on absolute risk endpoints (even though pharma likes to advertise relative risk instead). I almost never observe an LDL-P below 800 on LCHF (that didn’t involve medication), with most males showing me 1200-1300 average. But to be sure, there’s probably a higher number of people sending me larger numbers on average given my status on this subject. Myself, I believe the I-just-don’t-even-think-about level would be around 1200 or less — but that’s just me. As always, I should emphasize we are in uncharted waters. I may very well have a future blog post where I point out that I have enough evidence to conclude my higher cholesterol numbers did in fact increase atherogenesis and would change course to lower my cholesterol. Being a good scientist means acknowledging much of what is unknown, and so much of this is definitely unknown. First, thank you for your reply on my last post. I loved your perspective on higher fat content and less LDL-P to deliver the cargo. Very practical. Also your thoughts around uncharted waters which are why people and sites like yours and others are so important for this evolution. Anyone in the mood for a challenge? So, I’m hoping this increase in glucose and drop in ketones mean that at the rate which my muscles, brain and heart were using the fat energy, was not enough to keep up with the demand and my liver decided to use some amino acids and make glycogen to meet the demand. Or maybe that’s wishful thinking and I haven’t got a clue? The latter probably leading at this point. Could be my Krebs cycle isn’t functioning properly? I’m new to measuring ketones and interpreting their level meanings. I have been LCHF for about 6 months consuming approx… 60-70g of carbs a day, 16/8 IF every day but, didn’t think I would produce any worthwhile ketones. I was wrong. It seems I am somewhat fat adapted and I would like to pursue a deeper level of ketosis if possible but I would like to have a better understand before that venture. Any help would be appreciated. – Don’t overthink the Krebs cycle of your cells — believe me, it is entirely locally controlled under a very large set of overlapping systems. There are many thresholds and breakpoints that can’t be easily understood in the context of the moment. My own research is showing there’s one such window over a three day period that impacts lipids — and which I’m now finding will impact glucose sparing to some extent as well. What a pleasure to have watched your Low Carb Breck video. It has helped my unravel some of the mysteries surrounding my “all over the map” NMR Lipoprofile results. I hope I see you at Low Carb USA in San Diego this August, either on stage or in the audience! I started my LCHF journey about 4.5 years ago after losing my 61 YO, fit and trim, low fat/high “healthy” grain wife to appendix cancer. 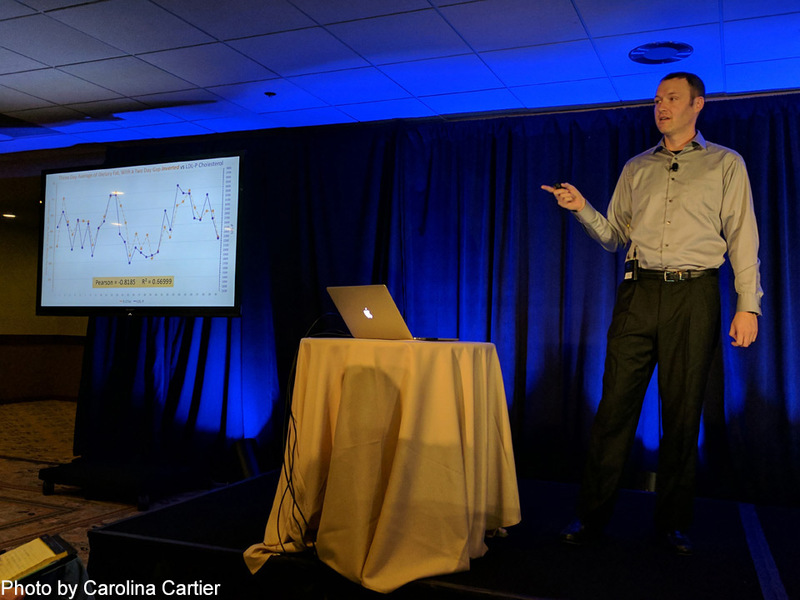 I needed answers and found some of them in Gary Taubes’ Cholesterol Con. I’d been on statins for 12, excruciating years. Ive had 4 NMR Lipo tests and one Cleveland Heart Lab test over the last 4 years. My NMR numbers have bounced around and I’ve presumed this to be the result of constantly changing my macronutrient percentages and even tweaking the types of fats, carbs and protein I’ve consumed. Would you be open to commenting on my results? Learn more about your options in cholesterol testing, the different testing methods and which numbers you need to pay attention to for optimal heart health.